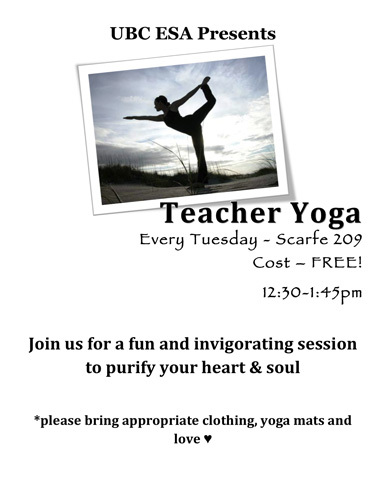 There will be FREE Yoga classes running every Tuesday from 12:30-1:45pm in Scarfe Room 209. A certified yoga instructor will be running the sessions weekly. So bring your mats and get ready to relax!